The 100th anniversary of the first native Rwandan priest comes at a time when tensions between the Church and the government run high. In 1917, Baltazar Gafuku and Donat Reberaho were ordained priests by Bishop Joseph Hirth. This was only 12 years after the establishment of the first Catholic mission in Rwanda, at Kabgayi. 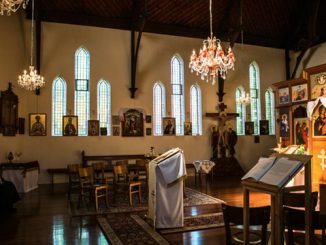 By this time, Kabgayi had become the center of Catholicism in Rwanda, with 49 baptisms recorded in 1903, the printing of the first catechism in the local language in 1909, and arrival of the first nuns (the White Sisters) in 1914. By December of 1914, the first two Rwandan nuns had taken their vows. Five years later, Fathers Gafuku and Reberaho were entrusted with the Mission of Murunda, while Bishop Hirth ordained the third Rwandan priest, Father Joseph Bugondo. Celebrations of the centenary of the Rwandan priesthood have been going on since 2015, and are set to officially close on October 7, the day Gafuku and Reberaho were ordained 100 years ago. 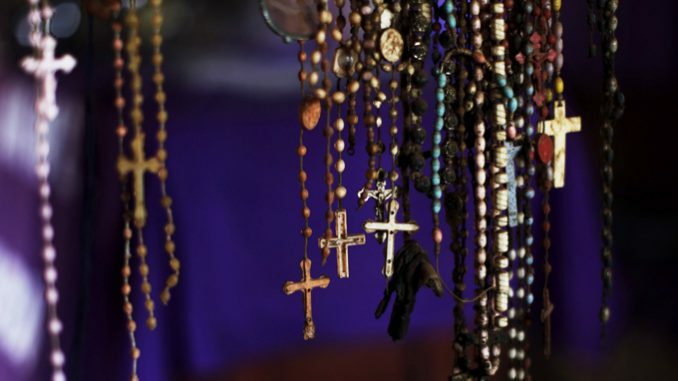 Pilgrimages, retreats, symposiums, and even sporting events have been held in commemoration throughout Rwanda, where more than 50 percent of the population is Catholic. These celebrations are being held against the backdrop of tensions between the Church and the Rwandan government. At the conclusion of the Holy Year of Mercy in November 2016, the Rwandan bishops published an apology letter that was read at all parishes that addressed the role of the Church in the 1994 Rwandan genocide, in which hundreds of thousands of Rwandans were killed and many more were displaced. A section of the apology letter reads, “We apologize for all the wars that have occurred in this country. 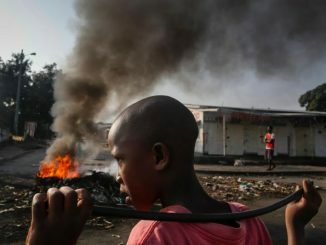 Forgive us for the crimes committed by priests and nuns and church leadership that promoted ethnic division and hate.” However, the chair of the bishops’ conference, Bishop Philippe Rukamba, later clarified that the Church as an institution had played no role in the genocide, and the apology, therefore, was in the name of individuals and not the Church. This attracted a quick rejoinder from the Rwandan government, which termed the apology insufficient and demanded another apology from the Vatican. In March, Pope Francis met with Rwanda’s President Paul Kagame at the Vatican. 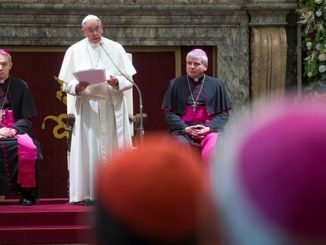 The Holy See Press Office described the encounter between the two leaders as cordial, and offered details on an apology from Pope Francis for the role members of the Church played in the genocide. “Evoking the gesture of Pope St. John Paul II during the Great Jubilee of the Year 2000, [Pope Francis] implored anew God’s forgiveness for the sins and failings of the Church and its members, among whom [were] priests, and religious men and women who succumbed to hatred and violence, betraying their own evangelical mission,” according to the Holy See Press Office. The anniversary of the Rwandan priesthood might offer the opportunity for deeper reflection on the role that the clergy can and should play in the complex reconciliation process in Rwanda. During their ad limina visit, Pope Francis urged the Rwandan bishops to remain steadfast in their mission of peace and of healing of the wounds left by genocide. “To pardon the offences and bring about sincere reconciliation, which might seem impossible to human eyes after so much suffering, are nevertheless a gift that it is possible to receive from Christ, through a life of faith and prayer, even though the road may be long and demand patience, mutual respect, and dialogue,” the Holy Father said. In his message proclaiming a Year for Priests in 2009, Pope Benedict XVI reminded priests: “Christ is counting on you. In the footsteps of the Curé of Ars, let yourselves be enthralled by him. In this way you too will be, for the world in our time, heralds of hope, reconciliation, and peace!” For the 63 new “Priests of the Gafuku Jubilee,” the message is particularly relevant. God bless Rwanda, the land and its people with peace, unity and prosperity.